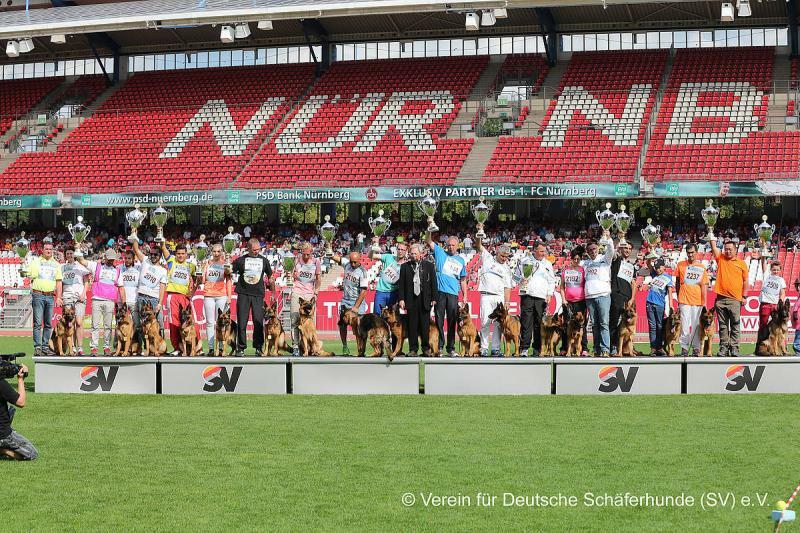 This is the Most Important Show in the World when it comes to German Shepherds. It is held once a year in Germany. 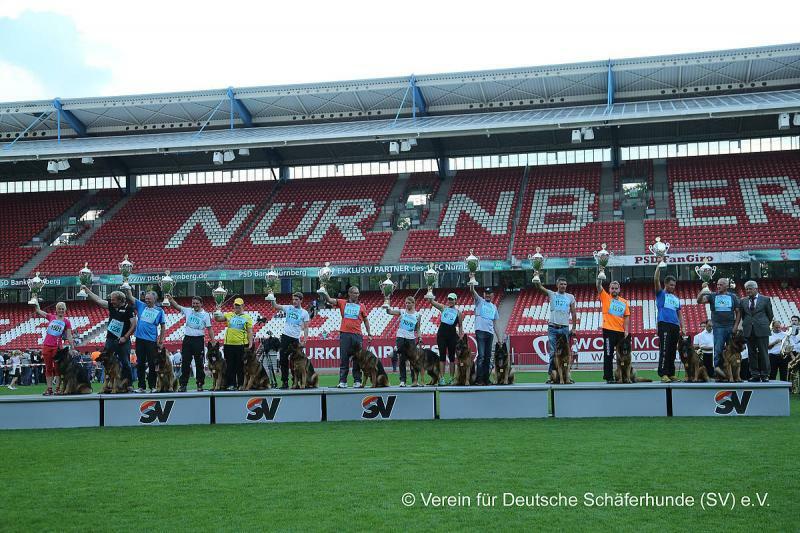 The fierce competition is open to THE BEST of THE BEST German Shepherds in the Entire World! To even be entered in the Show itself is quite an accomplishment. The most coveted position is to make VA (Vorzuglich Auslese) which means EXCELLENT SELECT. The VA positions are only available to mature adult dogs who have obtained all of their titles. That category is known as the Working Dogs, and is available to both Males and Females. The Males and Females do not compete together. To be awarded the VA Title, the dog must not only Reign Supreme himself, but must also Produce Superior Offspring.